Playing with the size of foods seems to appeal to many children. Just cutting sandwiches into minis can be a treat, so long as they aren’t the kind of sandwiches that ooze and drip with each cutting. These could be accompanied by mini-pops, made by pouring juice into an ice tray and sticking a toothpick into each cube before putting the tray into the freezer. And of course, on the other side of the spectrum, experimenting with giant foods is also fun. 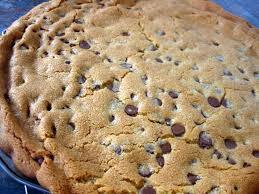 Try taking a chocolate chip cookie recipe and baking most of it into one giant cookie in a pizza pan!